Viknesh Vijayenthiran November 20, 2013 Comment Now! The latest entry to the Porsche lineup, the 2015 Macan crossover, has finally been revealed, just ahead of its public debut later today at the 2013 Los Angeles Auto Show. Joining it on Porsche’s stand will be the 2014 Panamera Turbo S, 2014 911 Turbo Cabriolet and 918 Spyder. 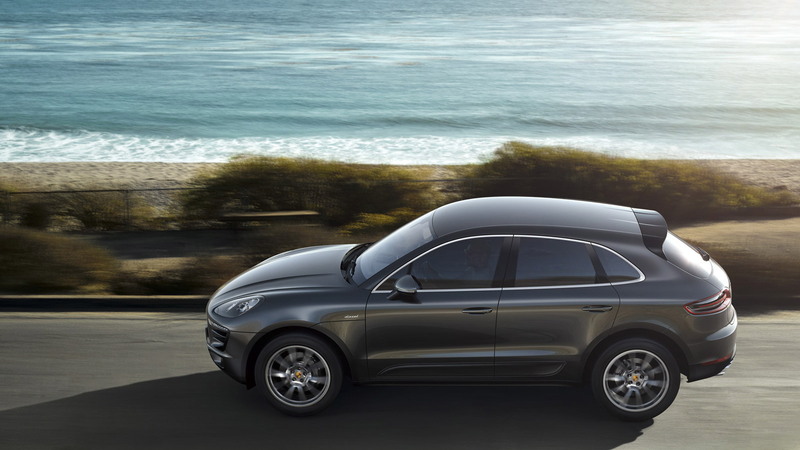 The Macan, however, is the most crucial, at least to Porsche, as it will not only bolster a range already thriving from profits generated by the larger Cayenne SUV, but it’s also expected to become the marque's most affordable model--and therefore, its likely biggest seller when sales start next year. Porsche's current entry-level model, the Boxster, starts at $49,500 but a base Macan, possibly with Porsche's first modern four-cylinder engine, could certainly undercut it. Sales projections of around 50,000-55,000 units per year have been described by Porsche as "cautious estimates," and more recently there’s been talk that sales numbers could reach as much as 75,000 units per year. At this level the Macan would represent almost 50 percent of Porsche’s total volume. 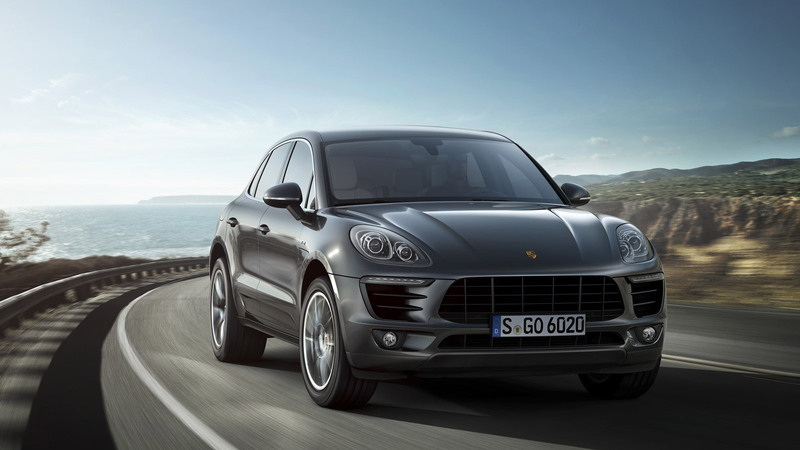 Porsche is introducing the Macan in the vehicle’s sportier S and Turbo trim levels. Standard to both is an all-wheel-drive system, seven-speed PDK dual-clutch transmission and twin-turbocharged V-6 power. The Macan S’ engine is a detuned version of the twin-turbo 3.0-liter V-6 in the latest Panamera S, with output now capped at 340 horsepower. 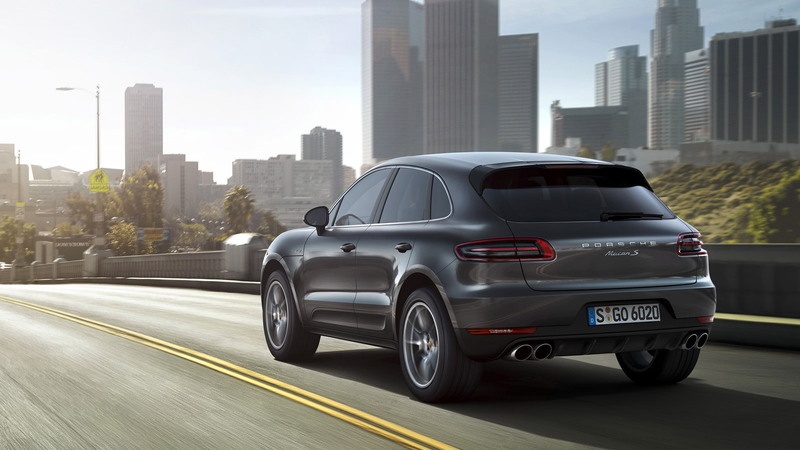 The Macan Turbo sports a new twin-turbo 3.6-liter V-6 good for 400 horsepower. 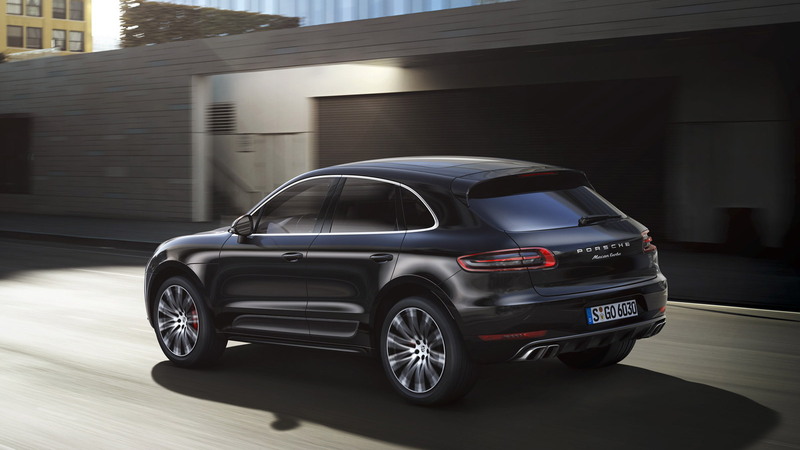 Overseas, a Macan S Diesel is also planned. The Macan shares its bones with the Audi Q5 but features so many modifications you’d never guess the two were related. 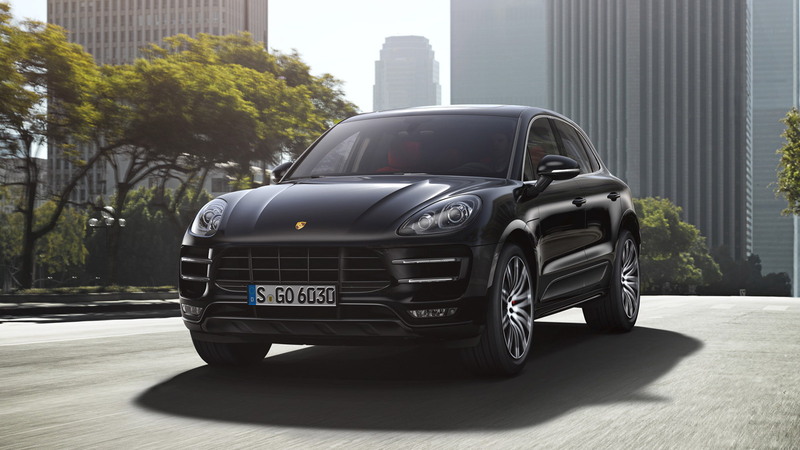 In fact, the rigidity of the Macan’s front end is similar to what you’ll find in the 911 and Cayman sports cars. Thanks to this sports car derived chassis bracing, the rigidity aids agility and stability at high speeds. Another key difference is the selective use of materials to achieve a lower center of gravity: The body platform and doors are manufactured from high and super-high strength lightweight steel sheets, and the hood and rear lid are made of aluminum. The Macan is also slightly smaller than the Q5, measuring in at 75.71 inches in width (ignoring the mirrors) and sitting 63.94 tall. The wheelbase measures 110.51 inches in length, while the overall length is a tad less than 185 inches. The Macan Turbo will sprint to 60 mph in just 4.6 seconds (4.4 seconds with the Sport Chrono package) and reach a top speed of 164 mph. The Macan S needs 5.2 seconds to reach 60 mph (5.0 seconds with the Sport Chrono package) and will max out at 156 mph. The Sport Chrono package enables the chassis, engine and transmission to be tuned to an even sportier level and includes a Launch Control function. Helping put the power to the ground is an active all-wheel-drive system with a torque management system called Porsche Traction Management (PTM). Together with the other elements—an electronically controlled, map-controlled multi-plate clutch and an electronic limited-slip differential—PTM will direct power to wherever it’s needed. In slippery situations, up to 100 percent of the engine torque can be sent to either axle. The system will also help reduce wheel spin. In the slight chance owners will take their vehicles off-road, a button on the dash switches multiple systems to a traction-oriented off-road program. This also sees the ground clearance increased by 1.58 inches above normal level thanks to the optional air suspension, which gives a maximum ground clearance of 9.06 inches. Note, this only works at speeds below 50 mph. All Macan models also come with a Sport button as standard, which makes the engine even more responsive. The gear changes are also tighter and instantaneous, particularly for double-clutch downshifts. The engine sound is also adapted to sound even more exciting. In addition, the Porsche Active Suspension Management (PASM) chassis control system (part of the standard equipment in the Macan Turbo) is set to sport mode to achieve a sportier feel for the suspension and electronic power steering. The standard wheels are a 19-inch set with 235/55 tires in the front and 255/50 tires in the rear. Stopping power comes from a brake package utilizing six-piston aluminum monobloc fixed calipers in the front and floating calipers in the rear. In the Macan S, the calipers press on discs with a diameter of 13.78 inches up front, while the Macan Turbo gets 14.17-inch discs. The rear discs for the Macan S have a diameter of 12.99 inches and on the Macan Turbo they measure in at 14.02 inches. Inside, the design is a familiar one. The eye is immediately drawn to the standard multi-function sports steering wheel, the design of which is completely new and based on that of the 918 Spyder. Three round dials, including a centrally positioned tachometer, form the instrument cluster. The right pod is home to a high-resolution, 4.8-inch color display. Alcantara, polished wood and carbon fiber are available as trim options. Tech features include a hard drive-based navigation system with 7-inch touchscreen display, Burmester sound system (a Bose system is standard), smartphone connectivity for Apple iOS and Android systems, and a wide range of camera and radar based assistance systems. Storage space is 17.7 cubic feet, which expands to 53 cubic feet when the rear seats are folded down. Production of the Macan takes place at Porsche’s plant in Leipzig, Germany. For more from the 2013 L.A. Auto Show, click here.